Holga launched a kickstarter for a new manual Instax printer from them. Many of the launch rewards are still available so don’t miss out if you’re a Holga or Instax fan. 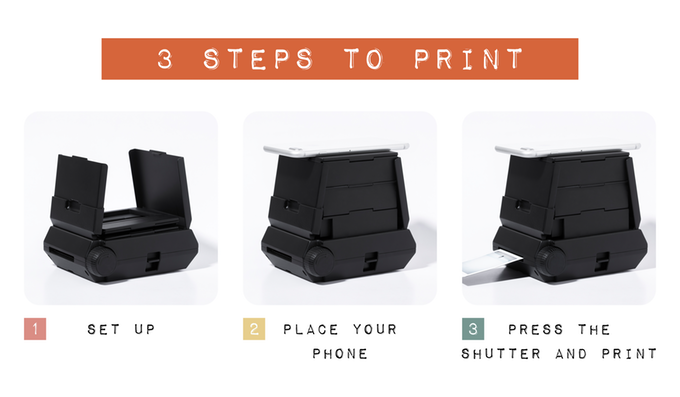 It works with your cell phone and you lay your phone on top of the printer with the image showing and press the shutter button on the Holga Instax printer to transfer the image to Instax film. Then you just manually crank out the exposed Instax and wait for it to develop like any other Instax photo. This entry was posted in Accessories, Instax and tagged Fuji Rumors, Fujifilm, Fujifilm Rumors, FujifilmRumors, Fujirumors, Holga, Holga Instax printer, instax, Instax printer. Bookmark the permalink. Trackbacks are closed, but you can post a comment.